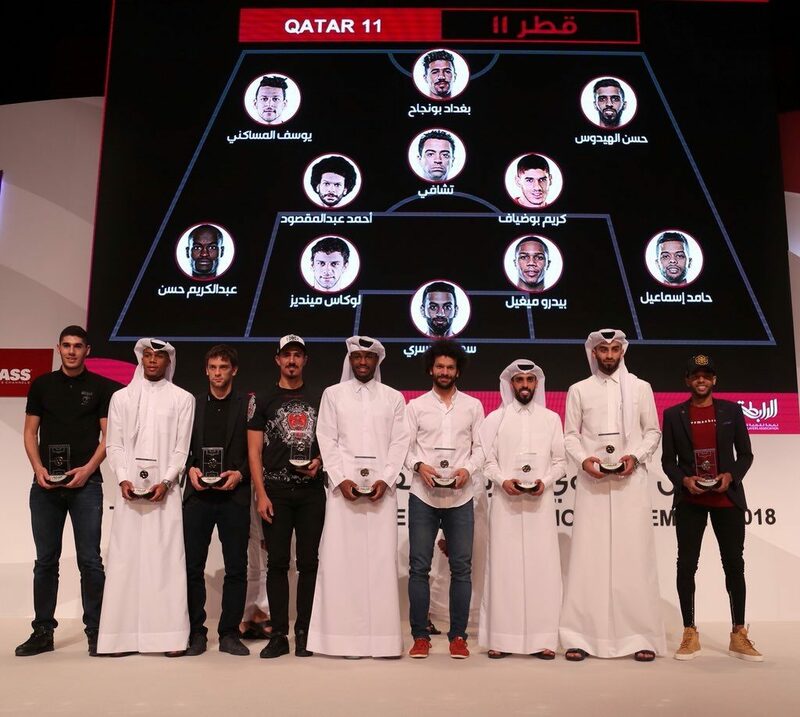 The Qatar Players Association hosted its annual ceremony on Thursday, 19 April 2018, at the Qatar National Convention Center in which it launched its first version of Qatar 11 Awards to choose the best eleven players in our league. During the ceremony Mr. Meshal Mubarak of Al-Ahli Sports Club received an award for his long serving career in which he amassed many achievements both internationally and locally, spending his time representing clubs such as Qatar Club, Al-Rayyan Club, Al-Gharaffa Club and Al-Ahli Club. Mr. Salman Al-Ansari, the Qatar Players Association President, stated that the ceremony was unique because it merged celebrating past achievements along with the current, such as Meshal Mubarak who had given a lot to the game of football and celebrating the current stars and top players in Qatar. The President of the Qatar Players Association congratulated the players who won and wished best luck for those who did not. 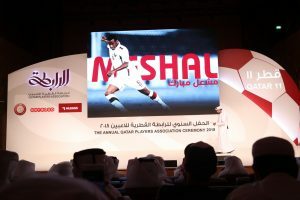 He added that the Qatar 11 awards were designed to be by the players and for the players – noting that the criteria was derived from the players’ votes themselves, where 317 players voted to choose the best. Further, Mr. Al-Ansari thanks all players, Clubs’ presidents, officials and former players who attended the ceremony. He concluded his statement by thanking Ooredoo Qatar, Alkass Channels and Thuker Fund the ceremony sponsors and he stressed that the Qatar Players Association will continue on hosting its annual ceremony and Qatar 11 awards to be a tradition were the football family is brought together to celebrate its players.